Seaworthy Publications, Inc., 9781948494090, 250pp. 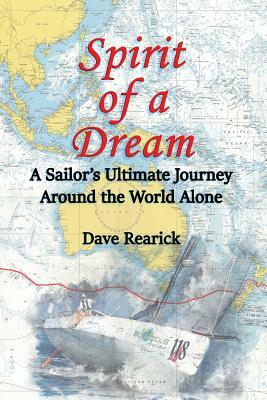 On October 2, 2013, Dave Rearick began an epic solo voyage around the world. Onboard his specifically built Class 40 racing sloop appropriately named "Bodacious Dream," Dave sailed from Newport, Rhode Island. He sailed the length of the Atlantic Ocean to Cape Town, South Africa, a distance of 8,000 miles. From Cape Town, Dave sailed to Wellington, New Zealand where "Bo" was originally built, and then onto the fabled Galapagos Islands, one of the earth's great nature preserves. On the final leg, Dave returned to Newport, Rhode Island by way of the Panama Canal. The full circumnavigation took 256 days to complete, leaving an indelible memory of the challenges and rewards of being at one with nature, the solitude of the open sea and the ever-changing landscape of life.